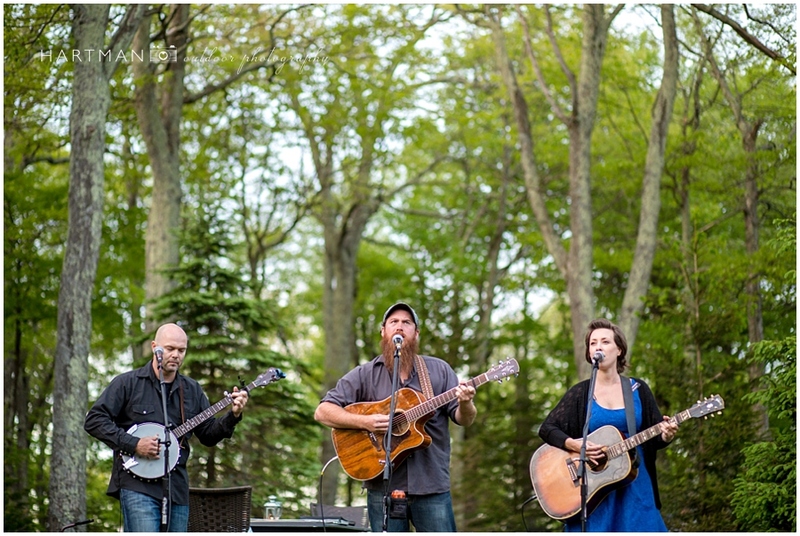 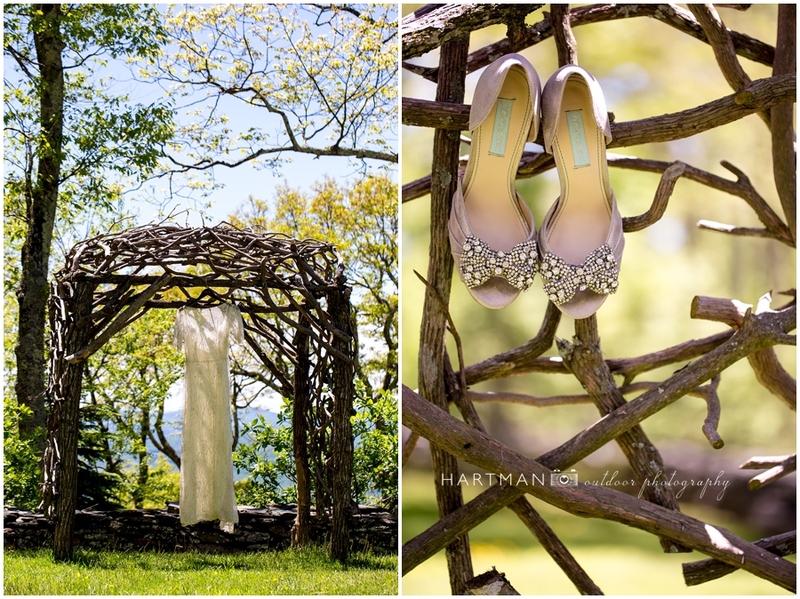 Photographing Jessica and Emil’s mountaintop wedding was like a dream come true. 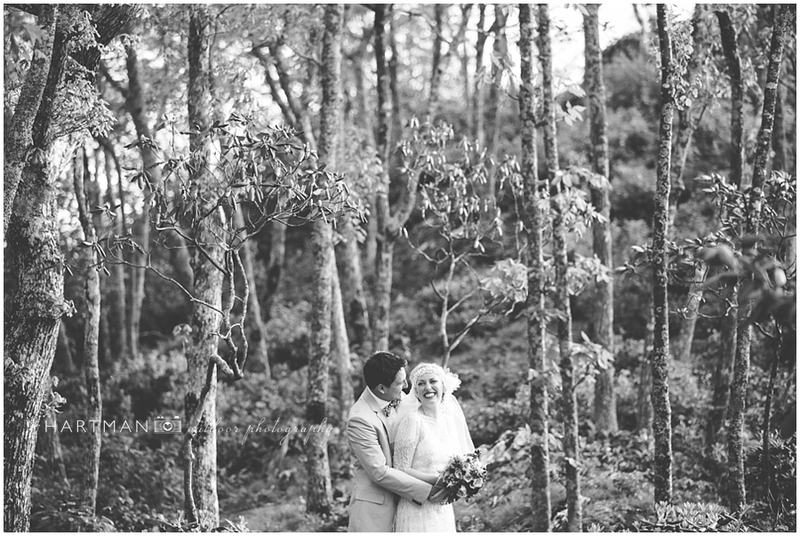 The spring weather was perfect, the scenery was stunning, and the whole event was a perfect blend of glamorous and laid back. 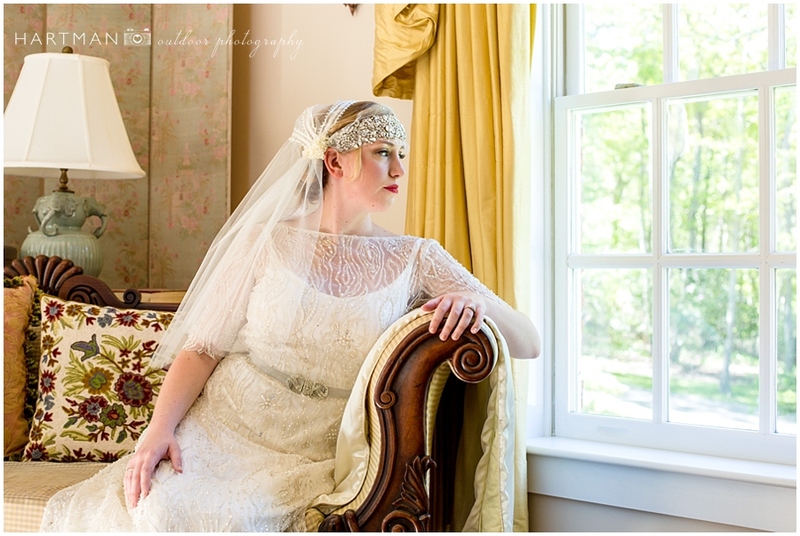 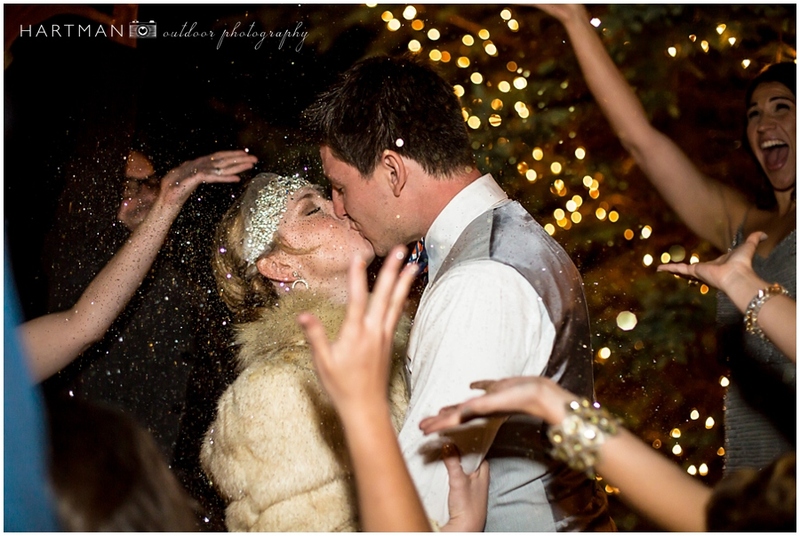 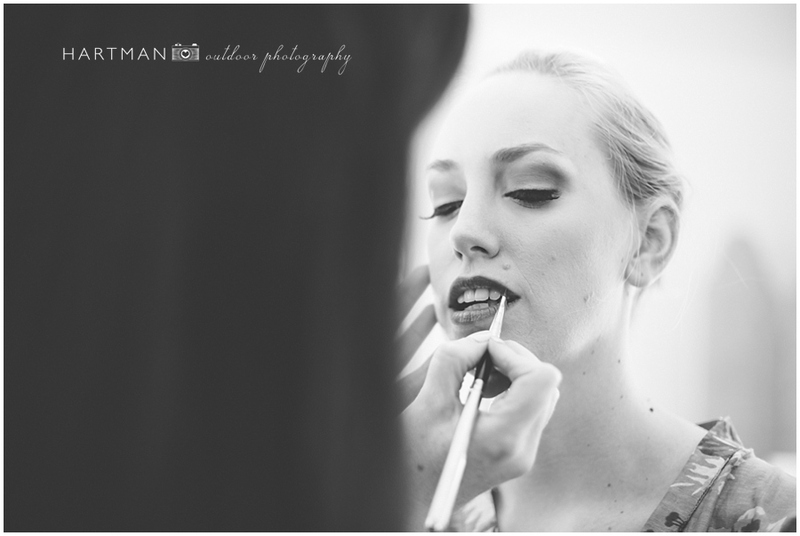 In planning her wedding, our bride Jessica opted for a vintage-glam-bohemian theme. 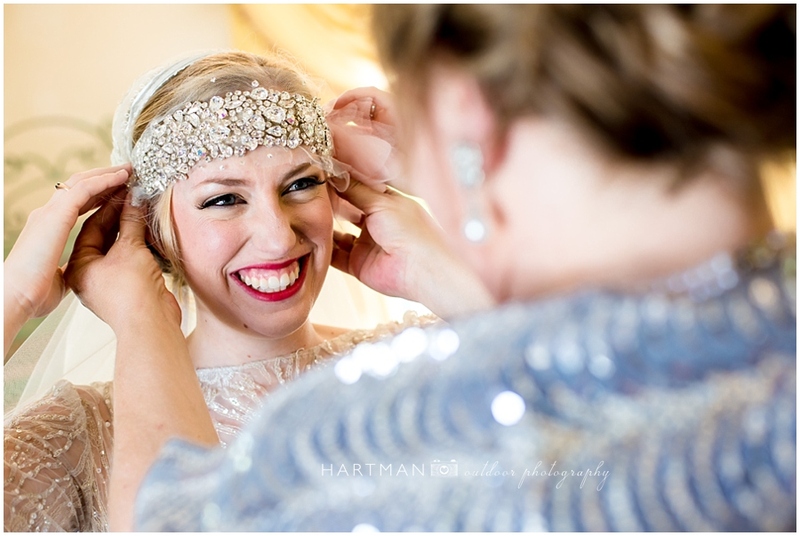 She wore red lipstick, an ornate jeweled headband hand crafted by her mother in law, and a beautifully beaded gown by her favorite dress designer Sarah Seven. 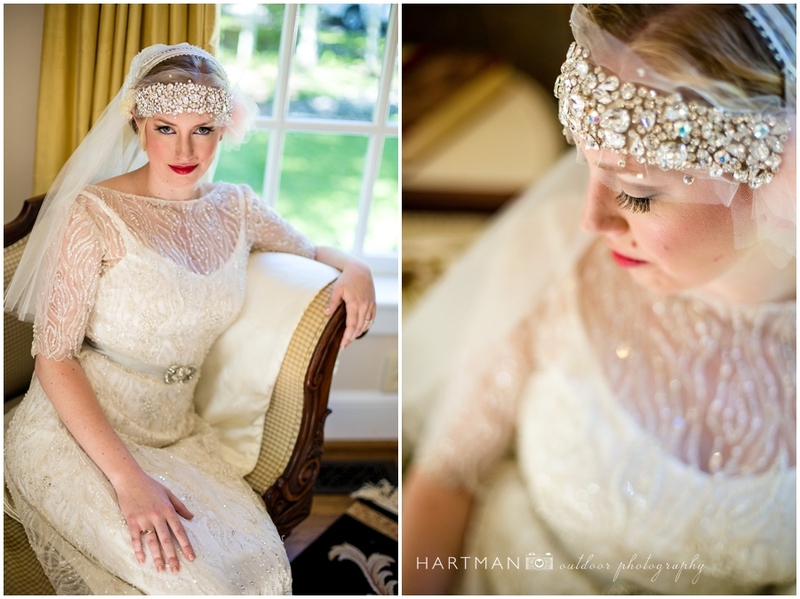 Her bridesmaids also followed this theme, wearing mismatched beaded gowns in various shades of silver and gold. 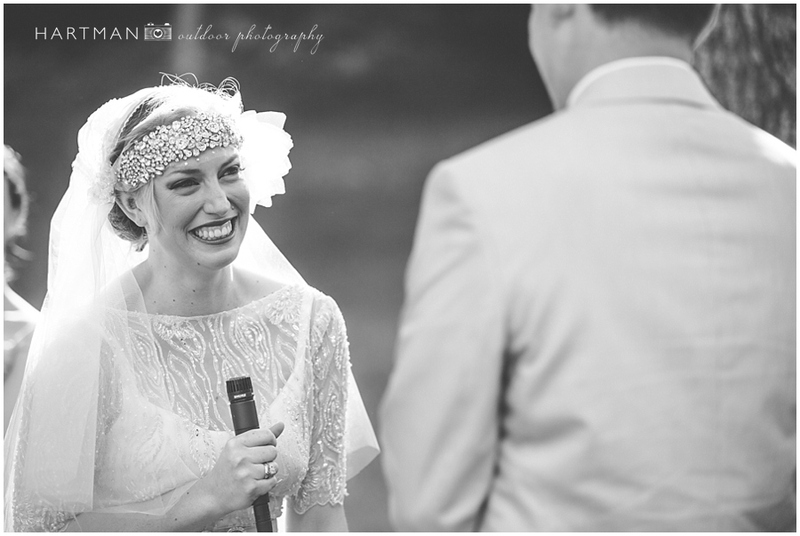 They went together so beautifully. 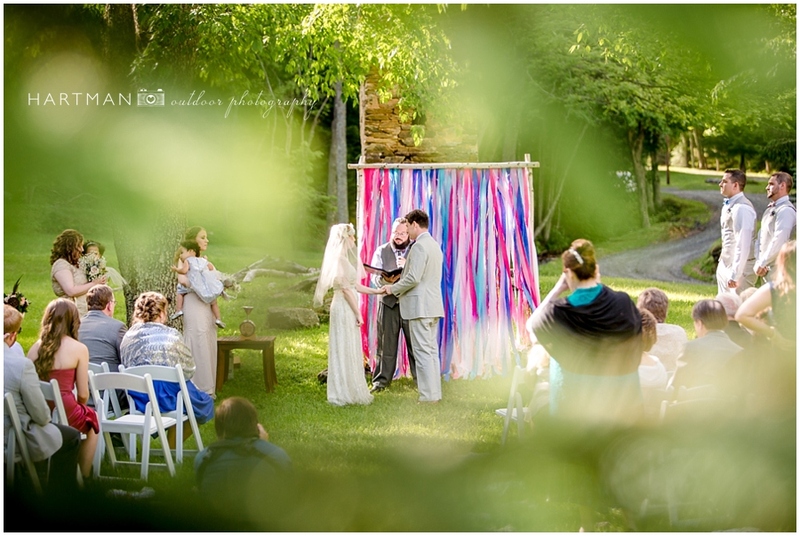 For their ceremony, Jessica and Emil were married on the mountainside in front of a large awning they had created themselves using colorful ribbons. 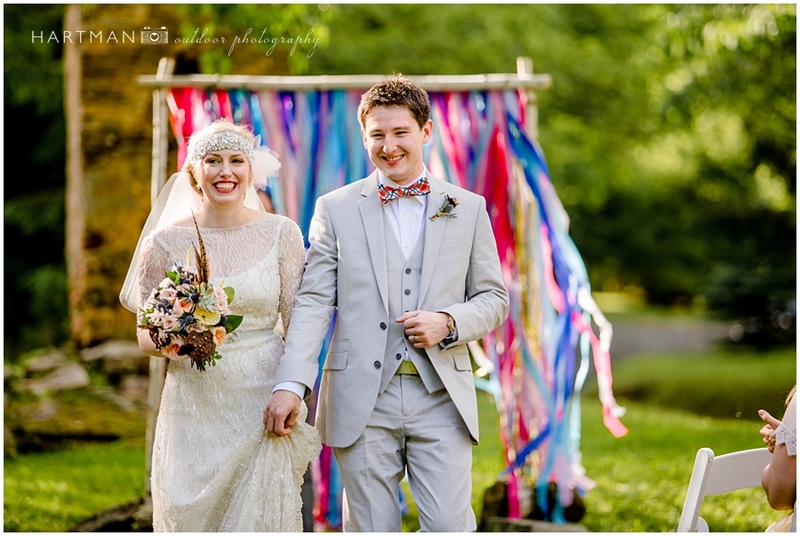 The two started their ceremony by partaking in a bourbon ceremony- a very unique tribute to their mutual love of this drink. 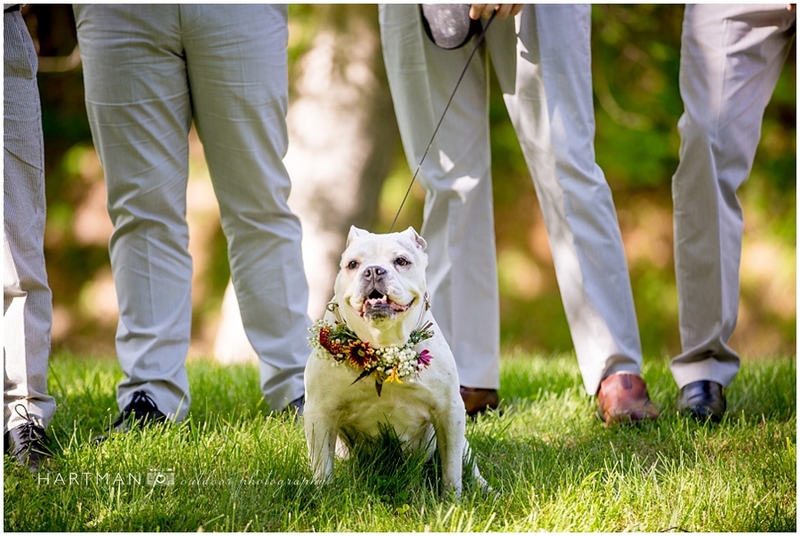 They exchanged heartfelt personal vows and rings provided by an adorable ring bearer- their sweet English Bulldog named Olive. 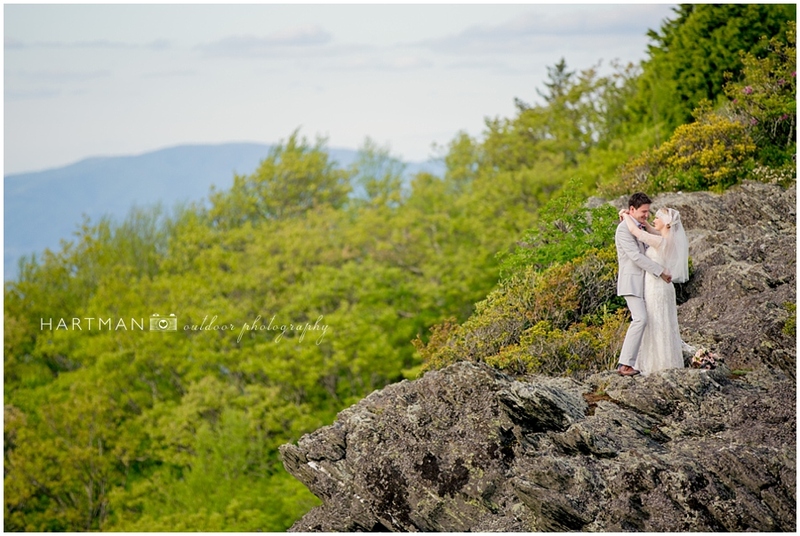 After the ceremony, Jessica and Emil joined us at the top of the mountain for one of the most exciting couple’s sessions we have ever photographed. 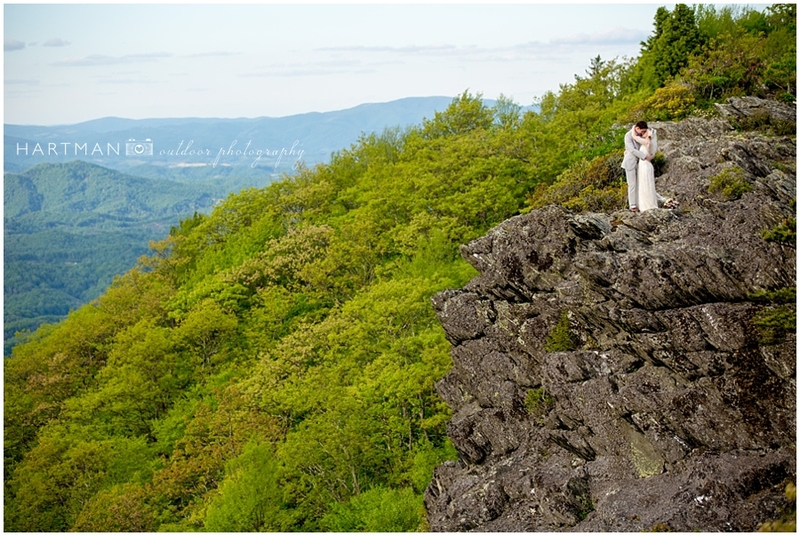 The couple snuggled up among the gorgeous green forest, and stood on a cliff-side overlooking the beautiful blue ridge mountains. 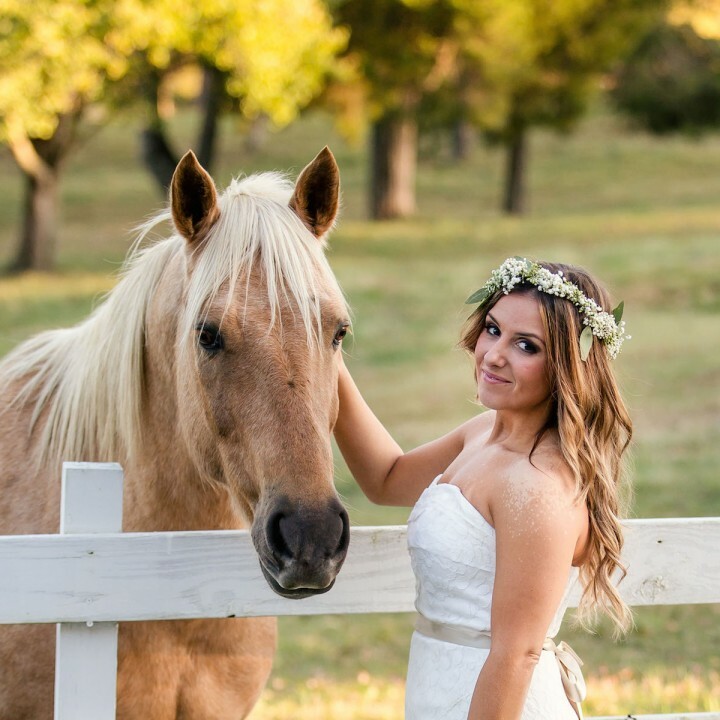 It took a little hiking to get there but it was so worth it! 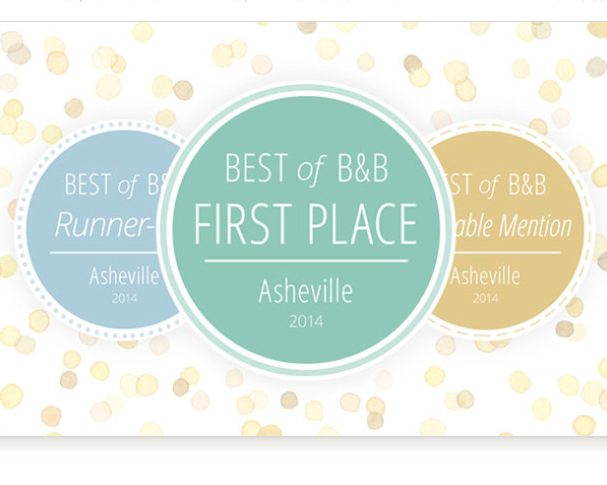 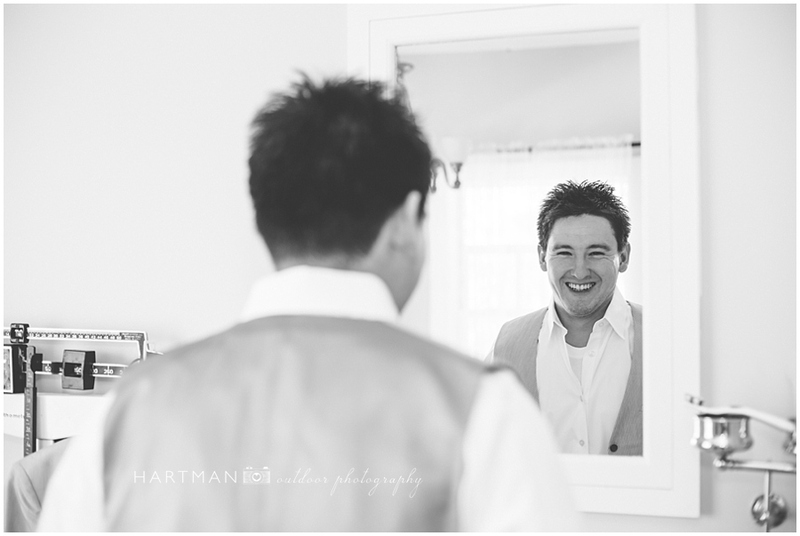 Thank You For Voting Us Best Asheville Wedding Photographer!